The inaugural event featured more than 40 live performances and dozens of independent films and upcoming comedy acts during the five days. On Friday, September 6, the Film Festival portion of the weekend featured a big screen showing of the newly expanded Jimi Hendrix Live At Woodstock at the 3M Theater in the Minnesota History Center. Following the showing, Jimi Hendrix's bassist Billy Cox, studio engineer Eddie Kramer, and Jimi's first cousin and Experience Hendrix's Vice President, Bob Hendrix took to the stage to engage the audience in a lively Q&A series. This unique and interactive session allowed fans to interact directly with the panelists to get the answers to some of their long-standing questions. 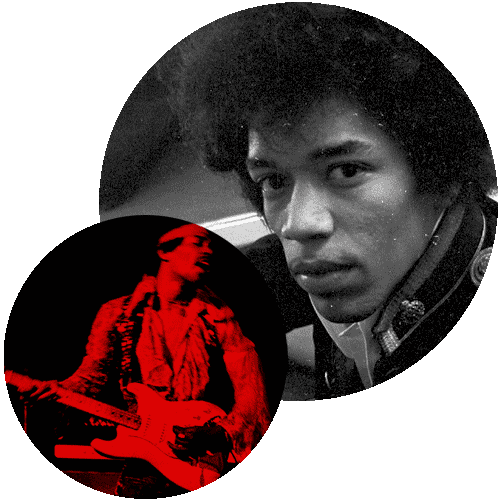 As is usually the case at these events, the questions tend to favor the technical intricacies of how Jimi created his enigmatic sound, or some of the intimate moments where Kramer and Cox would interact with Hendrix in the studio. On Sunday night, Bob Hendrix served as emcee for Experience Hendrix: A Celebration of the Music & Legacy of Jimi Hendrix during a 90-minute all-star musical tribute to Jimi Hendrix. Despite the inclement weather that plagued the festival grounds on Harriett Island on September 10th, those who braved the cold rains were treated to an incendiary performance that captured all the passion and excitement of Jimi Hendrix's musical legacy. The evening kicked off when Minnesota native and up-and-coming blues sensation, Bernard Allison took to the stage for a solo performance of Hendrix's classic "Hear My Train A Comin'." As Allison had done previously during the September 2000 tribute concert at the Rock & Roll Hall of Fame, he once again captured the essence and beauty of Jimi's songwriting capabilities. Following Allison on stage were guitarists Eric Gales and Andy Aledort who were joined by Double Trouble drummer Chris Layton for an fiery interpretation of "Purple Haze." The trio then followed with a soulful rendition of "May This Be Love" before being joined by bassist Billy Cox for an upbeat run through of "Foxey Lady." Gales departed from the stage temporarily to allow Billy Cox lead the trio of Layton and Aledort through the a searing performance of "Freedom," following by "Stone Free" and "Spanish Castle Magic" which also featured ex-Kid Rock guitarist Kenny Olson in the mix. Olson's fiery blend of modern rock guitar and classic rock traditionalism leant a hearty punch to the two numbers before he was joined on stage by Bernard Allison to where they lead the group through a stirring rendition of Hendrix's blues classic, "Red House." Austin, Texas native Chris Duarte who previously participated in the 1998 Jimi Hendrix Guitar Festival in Seattle took to the stage, joining fellow Texas Chris Duarte and New York native, Andy Aledort on the Axis: Bold As Love classic "You Got Me Floating." Duarte then lead the trio of Layton and Billy Cox through two more Hendrix's classics including a rousing take of "Fire" and The Experience's debut single, "Hey Joe." With the crown in almost non-stop applause throughout the whole show, they really showed their appreciation as all six of the musicians returned to the stage for a couple final musical salutes to Jimi Hendrix where they performed "Voodoo Child (Slight Return)" and the Band Of Gypsys' classic "Who Knows." The St. Paul weather may have been wet and dreary by the musical performances on this day allowed Jimi Hendrix's musical legacy to shine bright upon the city of St. Paul.